Qualitative interviews with a small sample of stakeholders involved in delivering AIM supports including the City and County Childcare Committees, the Early Years Specialist Service, the HSE and Pobal. If we are to achieve our ambitious goal of building a childcare system that will deliver for generations of Irish children – then it must be fully inclusive. Figures for the first year show that 2,822 children are getting direct supports from the Access Inclusion Model (AIM) with thousands more enjoying wider benefits. In addition 850 pre-school practitioners will graduate from special training in the coming weeks while a further 950 will enrol in September. The model was launched last year by the Minister for Children and Youth Affairs, Dr Katherine Zappone, to ensure that all children can take advantage of Government supported pre-school education. “Turning one of the most expensive childcare systems in the world into the best requires action on accessibility, affordability and quality. 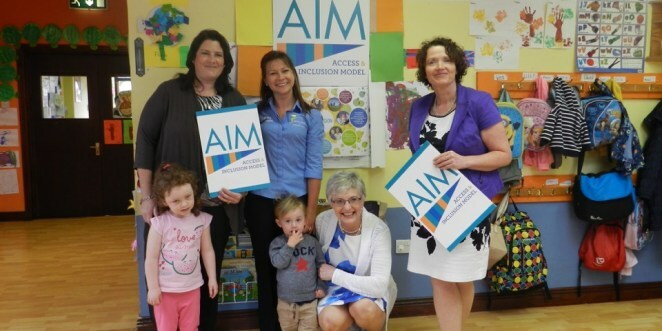 Year one of the Access Inclusion Model (AIM) has delivered real benefits: thousands of children now attend childcare services which are more inclusive in addition 2,822 children have received direct supports including specialised equipment and therapy services while 850 pre-school practitioners have completed a special training programme. While the figures are impressive it is important that childcare policy responds to the needs and experiences of children, parents and providers. In order to ensure our supports deliver the best results possible I am now ordering an Independent Review of the first year of AIM. he Request for Tenders has been published on eTenders. It is expected that a contract will be awarded to the successful Tenderer in the autumn. This Review is expected to take six months to complete.